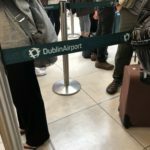 ✅ Trip Verified | Inbound Was surprised by speed of processing at Immigration - arrived on a flight from a Middle Eastern country on a Non EU passport - to find no queue. Wait for baggage was no worse than many airports I have been through. Travelling on an international flight to a country outside the EU and North America. Outbound Check-in was fine but the queue for security was lengthy and slow - seemed the staff were going through the motions and didn't really want to be there. Has to be a close run thing between Dublin (DUB) and Manchester (MAN) for the most officious, obnoxious set of security personnel - still at least I didn't have to have my passport x-rayed at DUB unlike MAN. No problems for me and my wife but the attitude shown by a female member of security staff to a woman travelling with 3 toddlers and a baby's pushchair was disgusting. The woman was doing her best to get organised for the X-ray check but was continually hassled by the member of staff. Nothing special about shops or eateries but limited choice once you reach the departure gates. Overall it's an average airport - been in better and been in worse - and for what it's worth it probably is better than MAN. Not Verified | I felt compelled to write a review as I have never been treated so badly at security in all my life. The staff here have disgusting customer service. 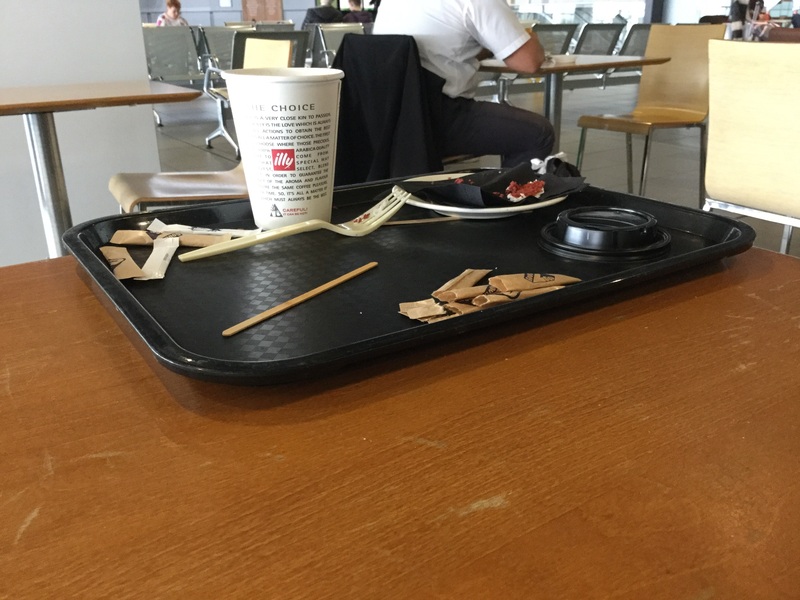 No manners at all, you are constantly shouted orders in a non conversational format, 1 word if you are lucky and pointed at. How on earth they can justify this I have no idea as the bags are going through a scanner! The person said "who's bag is this!" I explained it was mine in a quizzical manner and she gave me so much abuse I can't list it all. Basically said I needed to explain what was in my bag and have I not been to an airport before. Total abuse of power and shouldn't be working with the general public. Upset and very angry I asked to see a supervisor to which she said I wasn't doing myself any favours by being angry. I felt humiliated by experience. I've travelled a lot and this was the worst experience I've ever had. "There was nowhere to escape it"
Not Verified | Air quality in airports is extremely important to customers with allergies and skin sensitivity. In Dublin airport it's actually impossible to escape the perfume and Cologne gas cloud. Can you please have the shops scrub the air. There was nowhere to escape it. 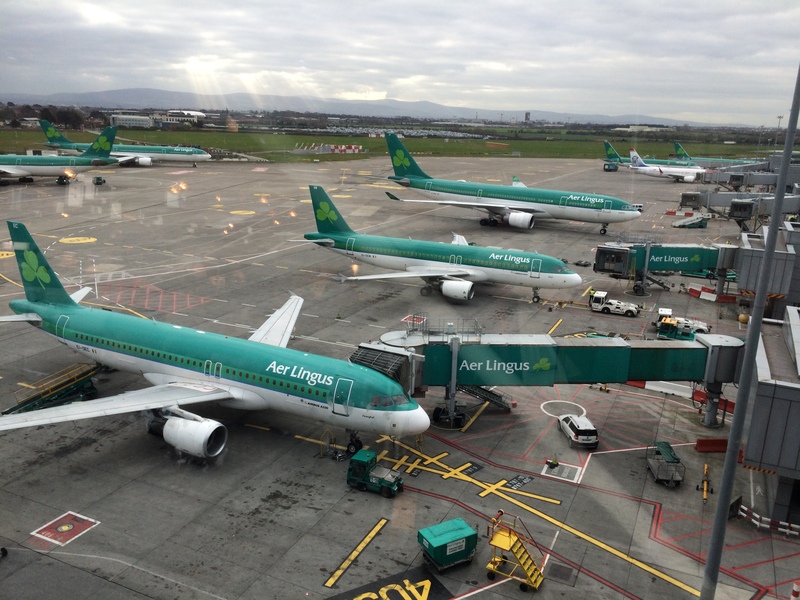 Not Verified | Departures are not the issue in Dublin - although these could be improved certainly. Arrivals is a nightmare. 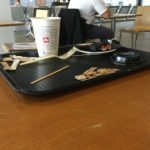 I have never experienced a European airport to be worse. I travel frequently to the UK, Germany, Switzerland, Italy, Croatia etc. Dublin is so bad I end up in a bad mood every time I arrive. Its dirty, unkempt, at least one escalator is out of service and its an unorganized mess, but the staff make it the truly terrible place it is. Its as if they have chosen the angriest, rudest humans in Ireland and stuck them in arrivals. I guarantee you will not see one of them address a person, rather everyone at the same time. No please or thank you, no hello. Just always shouting and trying to herd people around. Other airports do not do this. The scanning machines have serious defects - they do not work as they should. My passport has never worked in them - it worked in all other airports that have them. I explained to staff - they couldn't care less "Go over there and queue again and tell her". Honestly the staff don't need retraining, they need to be sacked. 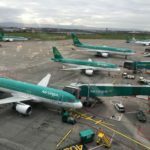 "no need to abuse their power"
Not Verified | I asked the airline staff if everything in my cabin bag was allowed and was asked a patronizing 'do you have things in there you are not supposed to have? ', rather than just answering my general question. The toilets were filthy. At security, I got through no problem, however, two young ladies in front of me were preparing to go through the scanner and the security officer shouted at them to hurry up. After going through, I was taken my belongings and an older officer immediately pushed me and ordered me to move to another area to put my shoes on etc. didn't even give me a minute. I then ordered coffee, the lady who served me couldn't even speak a word of English and charged me twice for the wrong order, in the end I had to wait for a manager to give me two refunds, one for the wrong order, the other for me being charged twice. At the departure gate, I was asked to present my passport and boarding pass, the boarding pass was on my phone, which had gone into lock screen, as I quickly unlocked my phone, the charmless gentleman snapped at me and said 'no point bringing it if you're not going to show it'. Overall, it was a horrible experience. I don't know why staff feel the need to be so unpleasant to passengers. I understand they have a position of authority, but there is no need to abuse their power. 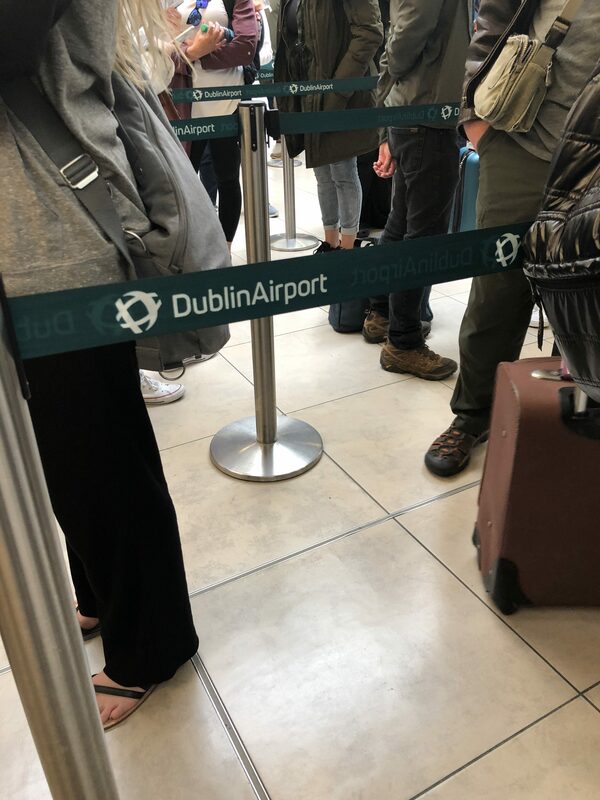 ✅ Trip Verified | Travelled to Dublin on a regular basis for the last 5 years and the staff at the passport control have always been very friendly and polite. That was my impression, until yesterday. What I have experienced yesterday was outrageous! I was shouted at and verbally abused by one of the operators at the passport control for no reason. They tried to force me to finish a phone call although I only held the phone in my hand. I didn't hold the phone to my ear and still they wouldn't stop shouting and insulting me. I would prefer the Gardai to always be responsible for checking the passports instead as it seems like part of the current staff (whatever qualification they may have!?) isn't professional at all. Small people like this obviously think they are important because they are wearing an uniform. So far I always had a very positive picture of this Airport but unfortunately this has changed now. And I think people like this should be monitored and questioned about their bad and unprofessional behaviour! Even if they want someone to put the phone away (for whatever reason) I expect them to do it in an appropriate way. Absolutely unacceptable. I am still very upset about this incident! "not good ambassadors for Dublin"
✅ Trip Verified | Travelled the world but never met such a rude, arrogant and disrespectful bunch of staff. Specifically the female staff. Just because they work in security it doesn’t give them a right to treat other people in such a rude and offensive manner. Certainly not good ambassadors for Dublin. Dublin airport needs to invest in some decent training in customer service or try employing some decent people with manners. Obviously some small minded people feel empowered by working in security. 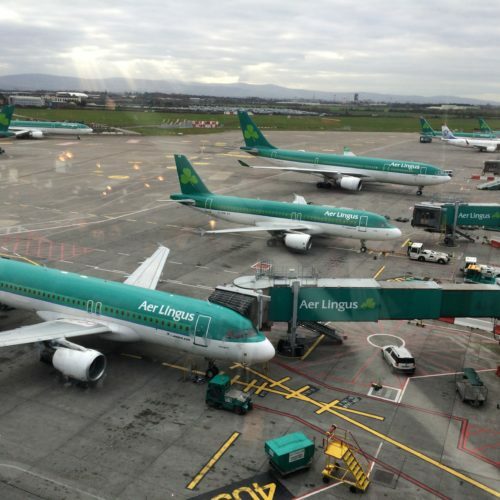 ✅ Trip Verified | I had an almost four hour layover at Dublin changing from one Aer Lingus international flight to another to JFK New York. The most attractive feature of this airport is that you can do your U.S. Customs and Immigration clearance here itself. Thus, when arriving at JFK, I was able to walk out of the aircraft and airport as if it was a domestic airline. The set up is very similar to that of the airports in the U.S. labyrinthine queues, checking of your bags, taking out liquids and computers, pat downs as necessary and then you go to stalls manned by immigration officers who look at your passport and wave you into the "U.S.". The waiting area beyond this U.S. run security and immigration check is ample as all U.S. bound flights are going through the gates in this area. However, food and shopping options are extremely limited. So it is best to spend more of your time in the general transit area where there are many more eating areas (including a Burger King) and shops selling Guinness liquor to many types of Irish memorabilia. The currency is Euro. The airport is in any case small, and staff speak English with an accent. There are large glass panels in the terminal waiting and walking areas offering splendid views of the tarmac and runway activities. Because you have cleared U.S. Customs, the flight is now a "domestic" U.S. flight and hence no duty free shopping can be availed of on board. You need to do those shopping in the transit area before boarding or at the small stall just after U.S. immigration. An easy airport to transit through. Benefit: Avoid the chaos and delays of clearing immigration and customs on arrival in the U.S. Downside: If you are transiting through Dublin, your journey has just become longer. Not Verified | Essentially hassle-free airport. From all the times I've travelled through here there's never been too long of a wait at security or passport check upon arrival. A good selection of places to eat and duty-free shopping - The staff are usually pleasant too. The only inconvenience is that public transport to the airport from the city centre is infrequent and quite poor. However, we did manage to get a taxi upon arrival quickly. Not Verified | Security staff manner. I have to say I never met people like I did in their position before. As my wife and I came to place our items in the plastic bins for scanning, the guy organising things said to me the plastic bags with toiletries etc got to be sealed, now I had tried sealing them but couldn't and they were the airport bags. Then he started, if they're not closed they ain't going, my wife and I tried to seal them, he said to my wife, you're not even trying, as she has rheumatoid arthritis she was unable and I am ok and I couldn't seal them.Then he said to me loudly, look back, do you not feel embarrassed holding up all those people behind you. After all the hassle he said, go on, we went through totally humiliated. Just to say we are not old, ie 50, are Irish and live in Ireland. Very disappointed and people like this certainly wouldn't make anyone feel welcome coming or going. Basically ruined our outward journey, upset.